In some places there's no good explanation for why the rent is too damn high. Condos and apartments in downtown Toronto. Ontario is among four provinces with "severe" rental apartment affordability issues, according to Rentseeker. Four Canadian provinces have been labelled as having a "severe" affordability problem when it comes to rental housing. A survey from rental site Rentseeker found that rents are too high for incomes in Alberta, British Columbia, Nova Scotia and Ontario. All other provinces and territories were rated as having "poor" affordability, except for the Northwest Territories ("moderate") and Nunavut ("satisfactory"). British Columbia leads the way with the country's least-affordable rental market. Renters there spend an average of 24 per cent of their income on rent and utilities. By comparison, renters in Nunavut only have to spend nine per cent of their income to afford a typical apartment, Rentseeker found — despite having relatively high rental rates. Like other parts of the north, Nunavut has high-paid resource workers for whom local rents are affordable. In some parts of Canada, like Greater Toronto and Vancouver, the blame is being placed on a lack of available rental housing. 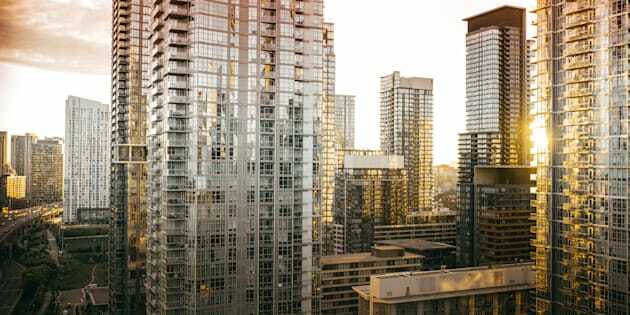 According to Canada Mortgage and Housing Corp. data for 2016, Greater Toronto had a vacancy rate of just 1.3 per cent, while Vancouver's was a rock-bottom 0.7 per cent. But rental rates are high even in places where there isn't an apparent housing shortage. Alberta, for instance, ranks among the "severely" unaffordable, but its two major cities, Calgary and Edmonton, had a vacancy rate of around 7 per cent in 2016, much higher than the national average of 4.1 per cent. There's little explanation for why Alberta's rents are so high relative to incomes. Rentseeker used data from the Canadian Rental Housing Index, which produces an estimate of the percentage of income an average household spends on rent and utilities.